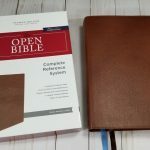 Schuyler Bibles has revealed their latest design: the Schuyler Treveris Series. Unlike the Quentel/Canterbury series which focuses on referencing (like most Bibles on the market), the Treveris Series is designed with reading as the primary focus. The series will complement the Quentel/Canterbury series, so they’ll have one for reference, preaching, and study, and one for reading. 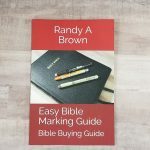 This series takes a different approach to Bible design by taking the verse numbers out of the text and placing them in the left margin. It also removes all of the added features such as references, footnotes, and section headings. 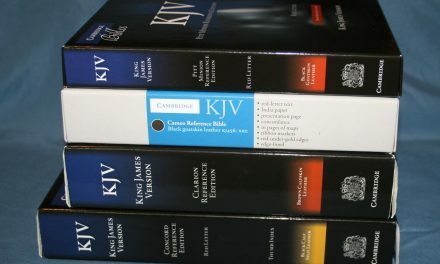 The series will start with the KJV. For the KJV, this is a major change from the common verse-by-verse layout. It takes a text-first approach. 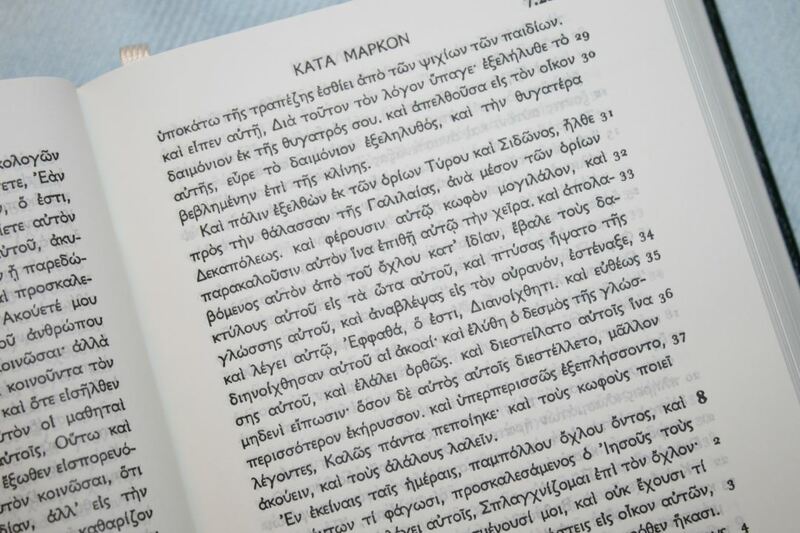 The text is presented in single column paragraph format while at the same time reuniting sentences that have been divided by verse numbers. The verses have traditionally printed the first letter as a capital even if it continues the sentence. 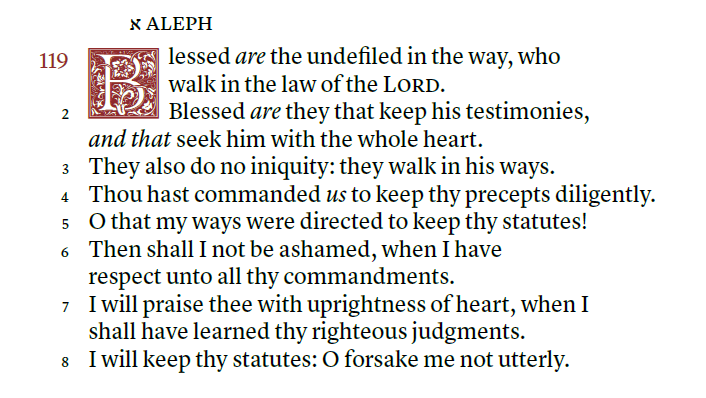 This continues that feature, which helps in finding where the verses begin and end. Poetry and letters are usually not identified in the KJV. The Treveris will print poetry to look like poetry, letters to look like letters, and prose to look like prose. This includes all poetry the New Testament. 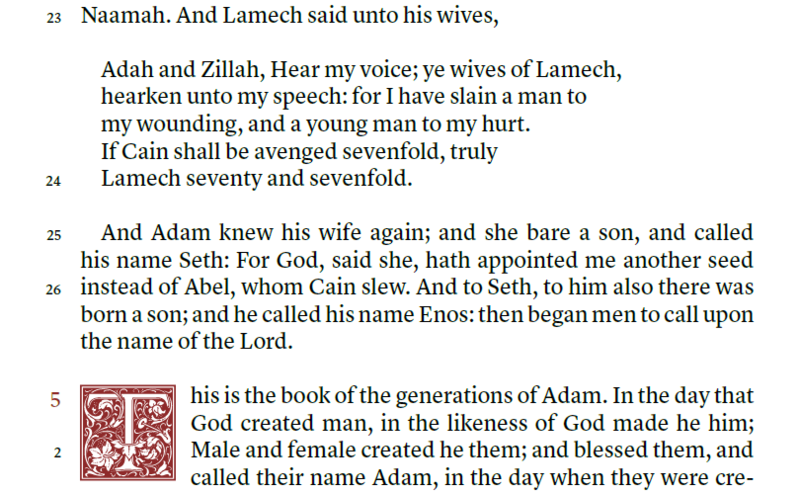 Until now, the Cambridge Clarion, Pitt Minion, and New Cambridge Paragraph Bible are the only Bibles that solve those issues, but they still add the verse numbers within the text and have very little poetry in the NT. Here’s a look at the specs they’ve published so far. 28 GSM Paper, Font: 10 pt. 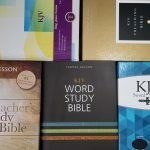 Single Column, Verse-by-Verse format for Psalms, Proverbs, Song of Solomon, Poetry and Quotations. This sounds like it will be a large print thin-line edition with the footprint of the Concord. The 28gsm paper is the same that’s used in other editions such as the Omega, Legacy, Turquoise, the NIV Clarion, Personal Size Quentel, and the Personal Size Canterbury. This paper is highly opaque and even more expensive than the 36gsm used in other Schuyler editions. 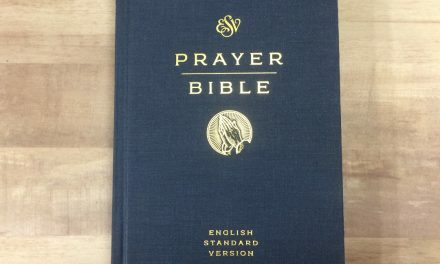 I’m glad they’re using this premium paper as it brings the size down and makes a Bible that’s great for carry to read, to visit other Churches, hospital and home visits, and anything I’d need a Bible for on the go. I’m more likely to carry a Bible in the 1″ range than the 1.5-1.75″ range. The ornamental drop caps from the Canterbury are here, but they take four lines of prose instead of five. It will include italics for supplied words. Italics is great to identify added words, but they’re not complete and they can be confusing to today’s reader because they’re often seen as emphasis. I personally still like having them, so I’m glad to see they’ll be included. It won’t have self-pronouncing marks. This will help improve readability. The word-count per line is around 14 words. This brings the text in line with the ESV Legacy. This is on the high side for me (I personally prefer 10-12 words), but it is within the range of ideal. The emphasis is on readability. This is a good thing. 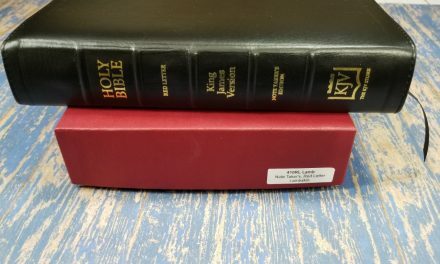 We have hundreds of Bibles available that emphasize study and include references, footnotes, and verse-by-verse layouts that are designed for use with concordances and commentaries. This is why I’m glad they’re starting with the King James Version. The numbers are here if you need them, but the text isn’t a slave to the man-made verse divisions. I know it’s designed for reading, but I plan to use it for preaching and teaching. I think it will be better for preaching in context. I prefer no distractions and I usually back up to the beginning of the sentence or paragraph anyway. The verse numbers in the margins will get me to the line I want, just like I do now with the Clarion. ‘Most’ of the time a verse starts at the beginning of the sentence or after punctuation, so it won’t be that difficult to figure out where a verse starts. It still has the capital letters, so it shouldn’t be difficult to find the verses. 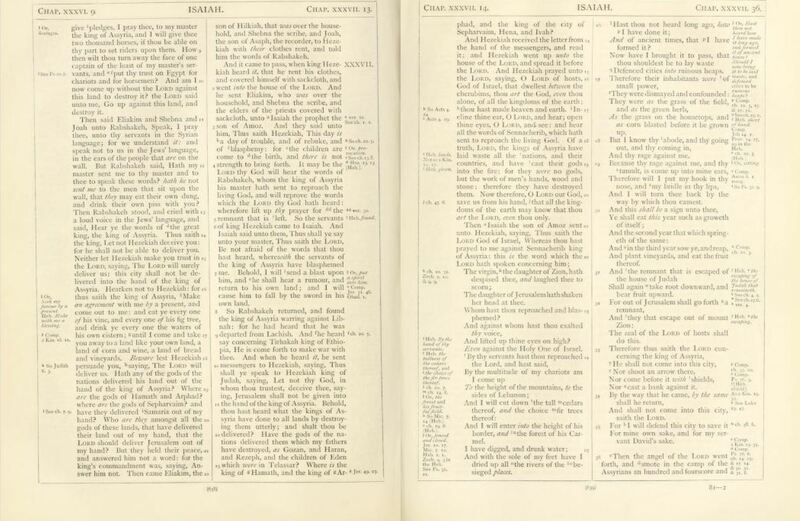 The original Cambridge Paragraph Bible, the 1873 Scrivener, presented the KJV in double column paragraph with verse numbers removed from the text and placed in the margins, but it still included cross-reference and footnote keys in the text. It’s also been done for Hebrew and Greek Bibles. I mentioned in this review that I wanted an edition in English. PubAssist has discussed the advantages of the design for readability. I even mentioned wanting this design in my LCBP Paragraph Bible review. The New Testament in Modern English uses this design. The New Jerusalem Bible uses this design. I’m looking forward to the Treveris series. Not every Bible needs to have references, footnotes, and focus on study. I read more than anything else and this looks like a good series for reading. Verse numbers are accessible, just in case you need them, but they’re not in the way when you don’t need them. It makes sense for Schuyler to complement the already popular Quentel/Canterbury series rather than compete with it. I’m glad to see a KJV with reading in mind. The layout will match modern designs, making the most poetic translation have the most poetic layout. You can see more about the Treveris series at Evangelical Bible. Do you think the Teveris series will make a good edition for reading? 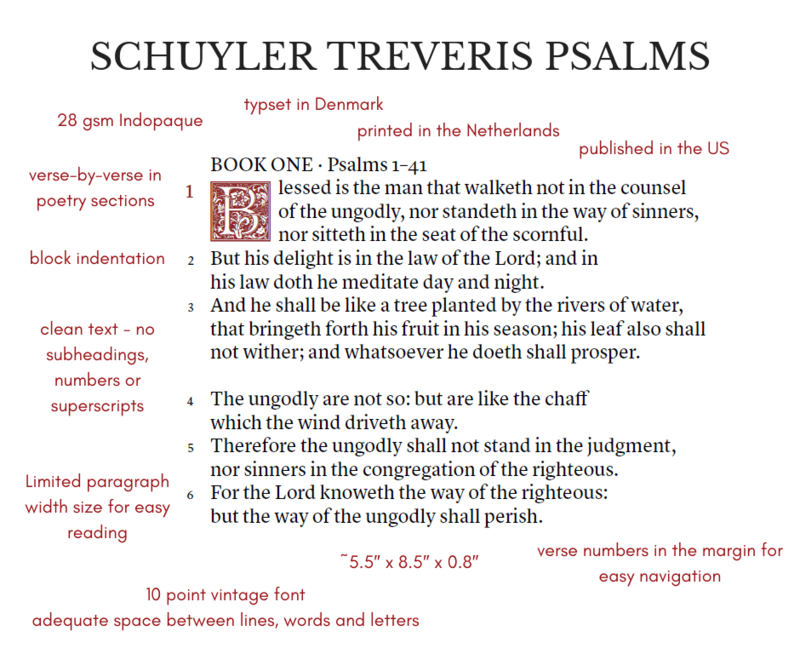 I’m looking forward to the Schuyler KJV Teveris being printed. 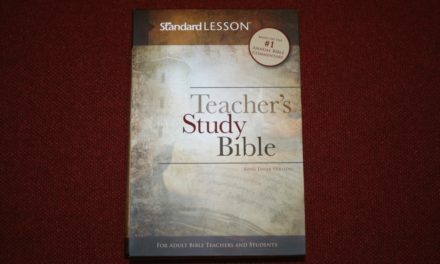 I read a lot more than I study, and I am all for a reader Bible that removes all study aids and other distractions. 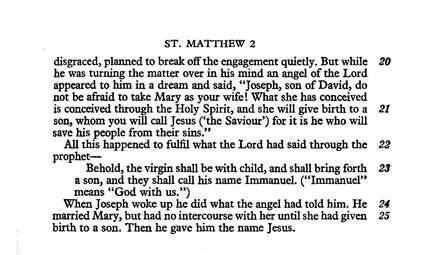 I was never a fan of single-column paragraph format ONLY because finding the verse numbers was like an Easter-egg hunt. But this…! The verse numbers are staged outside of the text — perfect solution. The 28 gsm paper of my Turquoise gave me some trouble at the first — the pages were so thin that they clung together. But I found out that the longer I used it, the pages became much easier to turn, and I am appreciating it more all along. If the Teveris has similar paper, I welcome it! Great ideas and layout, the 28 gsm is a deal breaker for me, that’s why the Canterbury is a great buy, 28 gsm paper on the turquoise is nice but make sure you don’t have sweaty hands or turn a page to quickly, it will basically dissolve or tear, I wish Bible makers went back to the old school Bible paper from the 1950s. Fortunately, I haven’t had any issues with my 28gsm editions. I love that old paper. Unfortunately, the process of making some of the best Bible paper caused cancer. I find the slickness of the 28.gsm paper very hard to turn. I have the thin line NASB and have tried getting used to using it several times. Drives me crazy. For me, it depends on the paper’s coating. I have more trouble with some 36gsm than I do with some 28-32gsm papers. Counter productive if they are going for readability. Randy, Thank you for this review. This Bible’s font is attractive, but this Bible would not be for me : I can easily read a Bible with cross-references, which I would greatly miss; the red-letter fad is highly questionable; and the unintelligent line division in the poetic passages is quite shocking – it is a glaring fault that could and should have been very easily avoided, and it should be rectified forthwith. I like to see poetry broken into lines like a song. As a KJV Clarion reader this Bible would be near perfect for me. 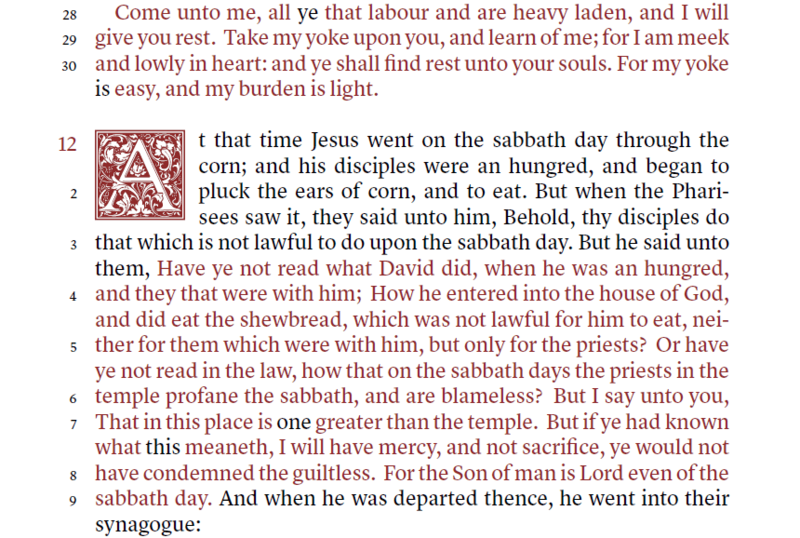 I find the clutter around the text of the Clarion to be very distracting, so this would take that all out of the way. One thing I dislike about the Treveris is how close the verse numbers are to the text. I feel a pull to read every new verse number. I would rather the verses were further away or that they weren’t there at all. That’s just my opinion anyway. It definitely wouldn’t stop me from purchasing this Bible.